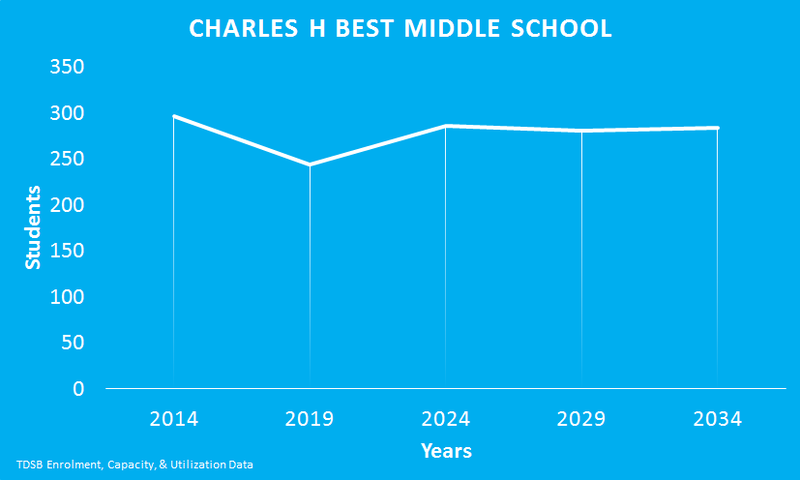 After a period of contraction, the TDSB projects that Charles H Best Middle School’s enrolment will level off and then begin to grow again in 20 years. Charles H Best Middle School supports students with specialized classes focusing on Learning Disabilities, Developmental Delay, and Intermediate Autism. The school also houses Forest Valley’s Transitional Behaviour class.